For the first time in 17 years, the Florida Senate proposes spending all of the money the state earmarks for affordable housing to build apartments and homes for families that spend more than half their income on housing. The House wants to put the money into other priorities. 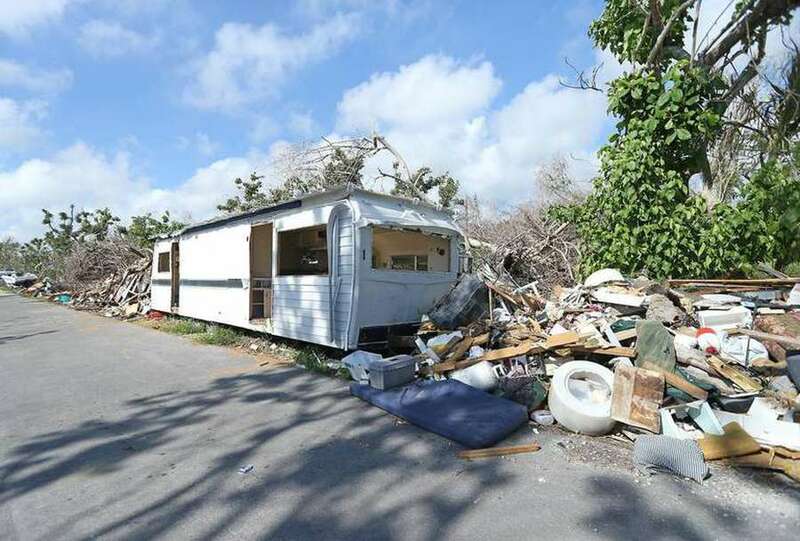 Hurricanes Irma and Maria decimated housing stock in the Florida Keys, left hundreds homeless and brought thousands more to Florida from Puerto Rico, but those hoping to use the money the state has set aside to construct affordable housing are going to face a battle again this year. The Florida House says it's not a priority. Anyone who purchases real estate in Florida pays a documentary stamp tax on the transaction, a portion of which is earmarked for trust funds to develop affordable housing. This year, the trust funds will collect about $322 million. For the 11th consecutive year, Republican leaders in the Florida House have decided to sweep more than half of the money collected out of the trust funds and use it to plug budget holes and fund other priorities — a total of $182 million. The Senate, which has traditionally gone along with trust fund sweeps, has had a change of heart this year. Its budget proposal not only spends all the money intended for affordable housing, it is also moving SB 874 by Naples Republican Rep. Kathleen Passidomo that would ban future legislatures from steering the housing funds to other needs. "We've all heard from advocates in our community, from the housing industry and from Realtors and others who are addressing this issue, that it is important to maintain a sufficient amount of money to keep these programs going," said Senate President Joe Negron, R-Stuart. Negron said a priority are programs aimed at senior citizens, people with disabilities and people in "urgent housing situations" such as the Puerto Rican evacuees. House Speaker Richard Corcoran, R-Land O'Lakes, argues that the Legislature has the final authority to write the budget and just because money was earmarked for a specific purposes doesn't mean it will get spent there. He defends the House's decision as a statement of the House's priorities. "It's a tight budget year and, as we do every year, it's just a prioritization," Corcoran said. He said education is the chamber's top priority and, with increases in costs and population, the budget includes $1.5 billion just to meet those needs. "We've got to fund our law enforcement. We've got to fund our K-12 system. The Senate's putting a great emphasis on funding the higher educational system," he said. The funds were designed to leverage private and federal funding to help develop affordable housing for the workforce, the elderly and disabled. But by the housing boom of 2000, monies in the trust fund for affordable housing soared and then-Gov. Jeb Bush and legislators decided the industry couldn't use it fast enough. They began diverting millions from the trust fund to other purposes, from tax breaks to spending. Housing advocates now say that is short-sighted planning. They point to data that show that even before the hurricane, Florida faced a housing crisis for many middle- and low-income families. The Shimberg Center at the University of Florida reports that in 2015, 744,662 low-income renters paid more than 40 percent of their earnings for housing — a 35 percent increase from 2005. According to the 2017 Home Matters report by the Florida Housing Coalition, a non-profit housing advocacy group, 31 percent of all home owners in Florida and 18 percent of all renters spend more than 50 percent of their income on housing — a significant cost burden. Florida has the third highest population of homeless of any state, the report also notes, and Florida's rental stock is particularly stressed. Before the storm, subsidized apartment rentals were "basically filled," said Trey Price, director of the Florida Housing Finance Corp., an independent agency that distributes state and federal housing funds. 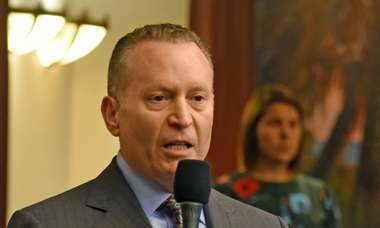 "This is a self-inflicted crisis," said Rep. Sean Shaw, D-Tampa, sponsor of HB 191 which would stop sweeping the housing trust funds. "When people are forced to live in cars, crammed 10 to 12 to a hotel room, it's clear that this state has failed." Rep. John Cortes, a Kissimmee Democrat, said that in his Central Florida district the low wages of the hospitality industry make it difficult for people to afford the security deposit to rent an apartment, which he said includes first, last and current month rents and can mean a couple thousand dollars, so many people live paycheck to paycheck in extended-stay hotels. "If you have to have $5,000 to rent an apartment for a job that pays $8.25, it's not going to happen," he said. "They're going to be homeless," Cortes said. "My county has an ordinance. If you are homeless, you get locked up and you go to jail. That's going to be a two-way crisis." — $3.8 million for homeless housing. Critics say that sweeping the housing money takes the "trust" out of the trust fund. 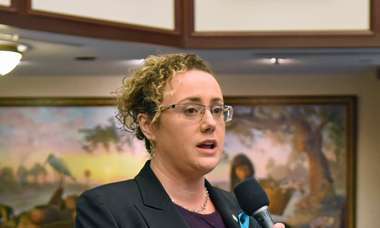 "I don't want to be lectured by the other side, saying there's no money, when the definition of fiscal irresponsibility is sweeping $1 billion and breaking a promise that we made to Floridians," Shaw told reporters this week. "Let's finally stop pretending that affordable housing is not an issue in Florida."